Sleep Apnea Testing in Santa Barbara, CA — Dentist in Santa Barbara, CA | Dr. Mark T. Weiser D.D.S. Do you snore? Maybe your spouse or other members of your household have complained about your snoring and pleaded with you to do something about it. Beyond snoring being disruptive to your household, it’s also disruptive to you. Dr. Mark T. Weiser, an experienced Santa Barbara dentist specialized in a number of cosmetic and restorative dentistry areas can help with mild to moderate sleep apnea. Is a Sleep Breathing Disorder Affecting Your Health? Sleep breathing disorders can mean that sufferers do not get the restful sleep they need. Sleep breathing disorders such as sleep apnea can cause you to gasp for breath many times a night, interfering with your ability to get into deep and restorative sleep. Beyond the snoring, the results could include feeling tired all the time and more. Sleep apnea can even put your health at risk by interfering with insulin levels and increasing your risk of heart problems. Sleep testing can help you determine whether or not you have sleep apnea as well as determine the severity of the situation. 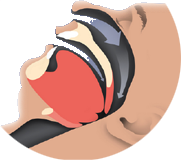 The severity of your snoring and sleep apnea will have an impact on the treatment prescribed for you, which could include an anti-snoring oral appliance or a CPAP machine. Both are worn while you sleep to help keep your airways open. Sleep testing can be done in a sleep center. Sleep centers are monitored with skilled technicians as well as with equipment that monitors you while you sleep to assess your snoring and determine how deeply you’re able to sleep. Alternatively, at home sleep apnea tests leverage a monitor that is worn to measure sleep patterns. Many prefer this as they find it much less disruptive to sleep at home in their own bed rather than at a clinic. The device that measures sleep activity is called the Watch PAT. The Watch PAT (peripheral arterial tone) offers screening and diagnostic as well as follow-up for sleep breathing disorders. The machine records important facts gathered while you sleep and store them in a memory card that your doctor can download for analysis. Learn more about this sleep testing option by making an appointment with Dr. Mark T. Weiser. In addition to at home sleep breathing disorders testing, Dr. Weiser may be able to have you fitted with a custom oral appliance to help you stop snoring and battle sleep apnea. Dr. Weiser has over 28 years of expertise serving patients in the Santa Barbara and surrounding area. Call (805) 899-3600 for an appointment.